Sharing what I experience and learn from feeding my little ones. And baby makes three. 3 kids to feed, that is. With the boys being in preschool 2 days per week now, I really enjoy our lunches at home. They seem to be so much easier for me than packing a lunch to go. Maybe it’s because I often just warm up leftovers and cut up some fruit. Easy! And, Anna just loves to watch her brothers eat and they think it’s so fun that she gets to eat with them now. Here’s a sample of my lunch for 3 this week. The boys had creamy chicken and black beans from the freezer, a leftover sweet potato from dinner the previous night and kiwi. Anna had porridge and sweet potato. Put frozen chicken breasts in crock pot, cover with black beans, tomatoes and salsa. Cook on high 4-5 hours or until chicken is cooked. should cause the chicken to shred. Serve with brown rice and guacamole. Roll in tortillas and add your sides of choice. Put a serving on top of salad greens and add any salsa, sour cream, or guacamole. Put on a tortilla and make into a quesadilla. This is a great recipe to freeze. I just store in serving size containers that I know I want to use for lunches. How much food should I be feeding my baby? How many calories does my toddler need? Is he eating too much fruit? Should I be preparing more protein? It’s so easy to question everything from milk intake to bowel movements. Sometimes I think we might be just a little too close to the subject. I’ve had times where I’ve needed to just step back and make sure I’m seeing the forest for the trees. I discovered the following website http://www.mypyramid.gov recently. This link shows the food pyramid specific to your child’s age and weight. You can enter age and activity level for your child and it will calculate the exact number of daily calories needed. Oh my! I consider myself to be fairly Type A personality and this is too much for me! It seems to me that if you eat real food to fullness and true satisfaction, then things will fall in place. I think kids have this ability built into their little bodies. And, remember, they are growing. Things will ebb and flow. It is my job to present my children with healthy food options and encourage them to try things. This government site goes so far as to provide a tracker to keep a tally of the daily requirements by grains, vegetables, fruits, milk, meat and beans. I seriously think I need to stay far, far away from this as it could easily become obsessive for no good reason at all! I’ve shared some of my favorite meals in the past, but here’s another great place to find Toddler Meals. My philosophy is to share good food with my children and maybe we there will be a little chef in the making. What do you think of the Super Tracker? In an effort to continue towards our GOAL: Eating With the Family we made yet another yummy chicken meal this week. We’re also working more with plates, utensils, and cups as well as healthy snacks to keep happy tummies throughout the day. This week, I decided that Jonathan and I needed something quick and easy to take for our lunches. Well, I also wanted this to be something the boys could eat, so I went for chicken salad. If you know me, you’re thinking I’ve completely lost it because I don’t like chicken salad. Well, let’s just say I’m trying new things and giving old things another shot. Zesty Chicken Salad A nice flavorful way to spice up the standard salad. 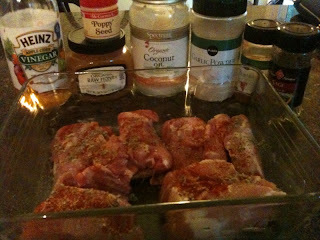 Place chicken in a greased glass baking pan. 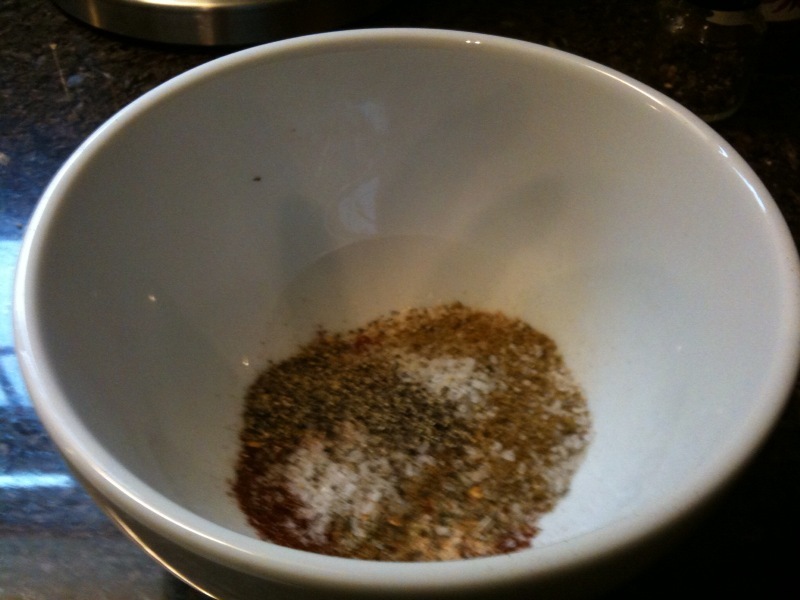 Sprinkle herbs, garlic powder and paprika on both sides. Bake at 350 degrees for 30 to 45 minutes or until chicken juices run clear when tested with a fork. Let chicken cool, then cut into pieces. 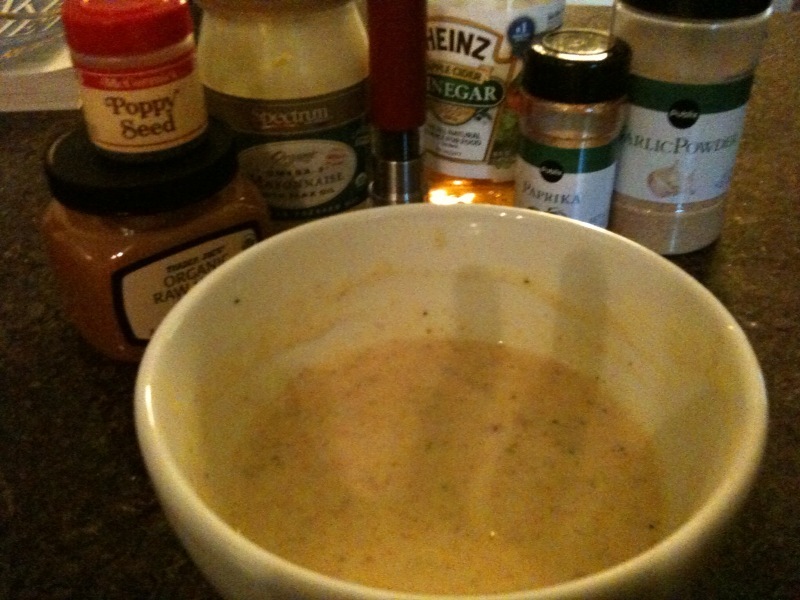 Combine mayonnaise, flaxseed oil, onions, peppers, celery, and chicken. Taste, then add paprika and garlic powder as desired and mix together. Serve over lettuce or on toasted bread. The chicken salad is great for adult lunches, but the chicken makes perfect food for little fingers or those just learning to use a fork. The chicken was a hit with the whole family! 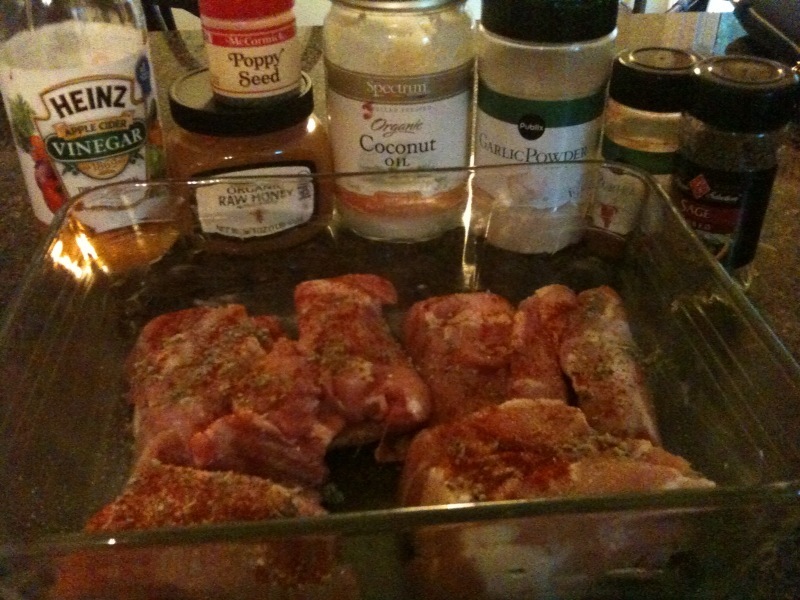 Be sure to check out this other chicken recipe to fill your fridge. I love the versatility of this recipe for sandwiches, salads, and protein for little ones. I will make it again, maybe even this week! On a separate note, Owen is using a fork and spoon well when the food is loaded on it for him. We’ve also mainly switched to using our regular plates as the solid, white, heavy plates don’t seem as interesting to “play” with during mealtimes. I did see a few times this week where I thought the appetite was decreasing a bit, but it turned out to be a ear infection and a fever which both resolved quickly and appetites came back in full force. The boys continue to eat food more quickly than I can prepare it. Please share your thoughts or ideas.